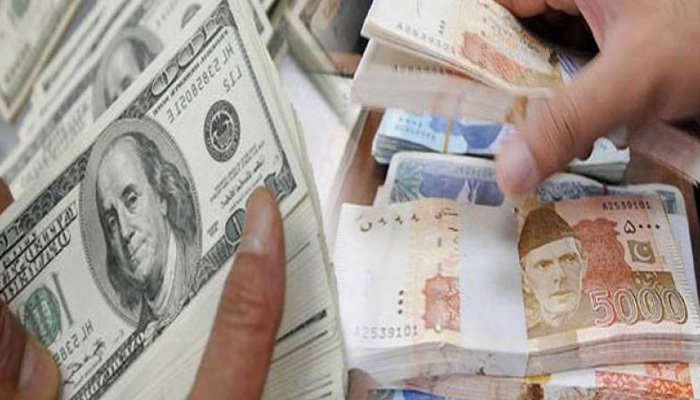 KARACHI: Inbound remittances to Pakistan marginally rose 1.4 percent to $19.622 billion during the last fiscal year of 2017/18, the central bank’s data showed on Tuesday, as subdued economic activities in the Middle East constrained the foreign inflows. The State Bank of Pakistan (SBP) recorded workers’ remittances at $19.351 billion during the preceding fiscal year of 2016/17. Analysts said policy change in the Middle East, which is the main destination for Pakistan’s 10 million overseas workers, is taking toll on remittance inflows. “The nominal rise shows economic slowdown in the Middle East,” Mohammad Sohail, chief executive at Topline Securities said. The SBP data showed that Pakistani expatriates working in Saudi Arabia sent home $4.858 billion, down 11.17 percent year-over-year. The country received $4.333 billion from the United Arab Emirates (UAE) as compared to $4.328 billion in 2016/17. Remittances amounted to $1.594 billion in June compared with $1.840 billion a year ago. In May, the figure was $1.771 billion. Annual remittances fell short of the SBP’s projection in the range of $19.5-20.5 billion and the government’s target of $20.7 billion. Analysts forecast a further decline in remittances during the current fiscal year. Sohail said the prospect is not very good due to slowdown and layoffs in gulf cooperation council economies including Saudi Arabia, Kuwait, UAE, Qatar, Bahrain, and Oman. Slowdown in economic activity in the gulf region, especially Saudi Arabia, affected the remittance flows to the South Asian countries, including Pakistan. Saudi Arabia and UAE imposed value-added tax on wholesale and retail sale, which increased the cost of living for unskilled low-income workers. Pakistan’s exports of manpower to Saudi Arabia tumbled to 143,000 in 2017 from 522,700 in 2015, according to official statistics. Manpower exports to Qatar dropped to 11,595 in 2017 from 12,741 in 2015. In Kuwait, manpower exports were recorded at 164 in 2015, 770 in 2016 and 773 in 2017. Analysts said substantial diplomatic efforts are required to boost exports of human resources to gulf countries as diaspora in Arab states guarantee the permanence in major flows of remittances. The Planning Commission is, however, optimistic about the inflows, projecting remittances at more than $21 billion in the current fiscal year of 2018/19. A bulk of remittances, in FY2018, received from the United Kingdom, US and European Union countries. Remittance flows from the UK stood at $2.762 billion, showing an increase of 17.98 percent over the previous fiscal year. Remittances from the US were recorded at $2.713 billion, up 10.63 percent. Remittances from the EU region surged 35.92 percent to $656.08 million during the last fiscal year. Analysts said negative impact of tight financial regulations in the US and post-Brexit scenario is subsiding and remittance inflows from the countries started going up as compared to the gulf nations. They said lower-than-desired growth in remittances could further dry up the country’s foreign exchange reserves. External current account deficit widened to $16 billion for the July-May 2017-18 period, up a whopping 43 percent year-over-year. The current account deficit is expected to reach six percent of GDP for the full fiscal year ended June 30.